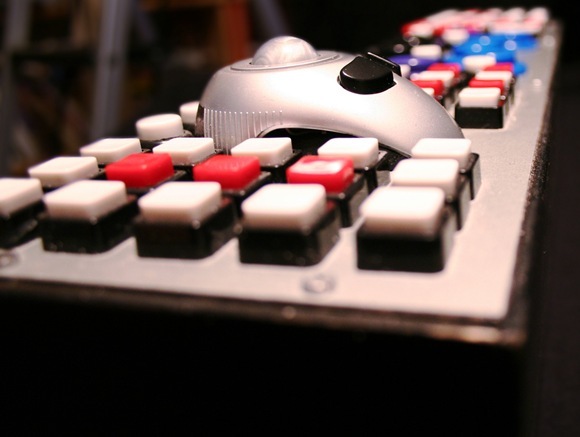 The Prevolt has put up some photos of his Ableton Live controller, dubbed Ambassador. 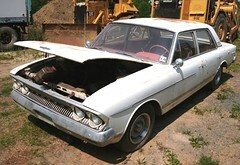 I love that it shares a moniker with the AMC Rambler automobile, though I suspect that wasn’t intentional (pictured at right, photo: Ty Sonneil). I got to look over Prevolt’s shoulder while he used the Ambassador in an epic music set in Austin at our SxSW party. It’s really remarkable: those controls may look like overkill, but he’s managed to map just about everything th Live software does to hardware control. 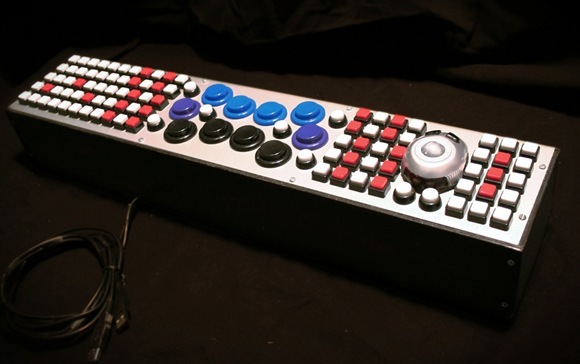 To anyone who complains Ableton hasn’t yet done their hardware, this illustrates why that might not even be a good idea — Live users seem to come up with endless control schemes, all different. Not to mention, with this controller you could get a little Street Fighter in between sets on nice, arcade buttons. And yes, you even get a little trackball. Aux Armes at SXSW 2008 from Aux Armes on Vimeo.